For all appointments we request that you arrive 10 minutes prior to your scheduled appointment. If you need to reschedule or cancel your appointment we require 24 hours notice. For any changes to your appointment please contact the office. Failure to provide us with sufficient notice may incur in a charge. During the first interview, parents are asked for medical certificates of visual and auditory examination results. These results are required before completion of the evaluation, as many students may be diagnosed with attention problems, whilst in reality they may have hearing or sight difficulties. To properly perform evaluations, we may request a complementary consultation with another specialist such as a neuropediatrician, orthopedist or we may require more specialised exams. We request that you work with us in sharing copies of these results. Visits can be conducted onsite at school or through Skype for international schools. Visits are recommended to follow-up the progress of students. In addition to the visit, the therapist will issue the school with a quarterly progress report. When the treatment objectives of a case are met, the intervention is concluded with a closing meeting. Invoices for contracted services will be sent via email within the first five (5) days of the month and payment must be made upon receipt of invoice. The invoice will detail the number of scheduled sessions the child will receive in that given month and the corresponding cost. Payments must be made in advance of starting services. Failure to pay will result in not being able to complete the services for that scheduled month. Please send us an electronic copy of the payment receipt to cartera@ksilc-bogota.com and we will issue you with a receipt confirmation. 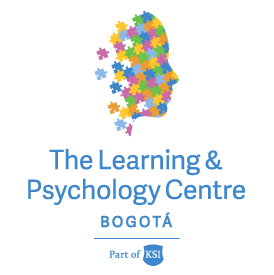 If you are paying by cheque, please address the cheque to 'KSI Centro De Aprendizaje y Psicologia S.A.S'. If the cheque bounces, a charge of 20% will be incurred and following payment must be made in cash.